Sylacauga, AL - Mrs. Temple departed this walk of life on December 2, 2018 at Shelby Baptist Medical Center, Alabaster, AL. Mrs. Shirley Lynette Temple was born on December 1, 1949 to the late Rev. Hilton and sister Hilton. She confessed Christ at an early age. Mrs. Temple united in Holy Matrimony to Mr. James Temple on October 4, 1972. They moved to Alabama in 1975, where God allowed them to adopt five children. She became a very skillful and anointed musician. She used her gift to bless many churches, gospel groups and soloist. 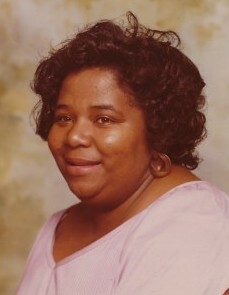 In her younger days, she was a part of the “Harvey Soul Stivers”. She opened up concerts for Aretha Franklin, Tina Turner and The William Brothers and a few others. She shared her talent with some of the area churches, St. John Missionary Baptist Church, Sylacauga, AL; Tallassahatie Baptist Church, Childersburg, AL; Greater New Hope Baptist Church, Sylacauga, AL; Mt. Moriah Baptist Church, Talladega, AL; Shiloh Missionary Baptist Church, Sylacauga, AL; G.A.P Fellowship, Kings Chapel, Talladega, AL; Bethel Missionary Baptist Church, Talladega, AL; Harperspring Missionary Baptist Church, Sylacauga, AL and many more. Mrs. Temple had a great desire for education and Special Education. She graduated from Rust College and then began to further her education by receiving her masters from University of Alabama and further her education in her ladder years by receiving her doctrine degree from Nova Southeastern University. Her first teaching job was in Pontotoc, Mississippi from there to Phyllis Wheatley High School, Childersburg, AL; she also taught in Rockford, AL; Alexander City, AL; Atlanta, GA; and South Carolina. Due to mother-in-laws health, they relocated back to Alabama, where she began teaching in the Birmingham City School System. She served as an Assistant Principle at C. W. Hayes Middle School, C. W. Hayes High School and Woodlawn High School, Birmingham, AL. She retired in 2012 after forty plus years in education. She was a great influence to many and touched many during her teaching career. She was a very strong disciplinary. She was preceded in death by her parents, her step-mother Alberta Hilton; one brother, Willie Earl; God-mothers, Virginia Rodgers and Cragie Mae Askew. Leaves to cherish her memories a loving husband of forty-six years, Rev. James Temple, of Sylacauga, AL; two daughters, Shirley Temple of Columbiana, AL; and Virginia Temple (Jarrett McCrary) of Huntsville, AL; three sons, Marty Smith of Houston, TX; Issac Reed of Sylacauga, AL; and Chancy Temple of Birmingham, AL; four brothers, David (Barbara) Hilton, Rosehill, MS; James Hilton (Annette Harvey) of Jackson, MS; Jacob (Vivian) Hilton of Jackson, MS; Ferdinand (Olivia) Hilton of Stone Mountain, GA; four sisters, Ellen Hamilton Matthew of North Carolina; Sandra Hampton, Thelma Hampton, and Connie Havley all of Hattiesburg, MS; adoptive sisters, Jean (Ernest) Harmon, Mona Keith, Susan Welch, Willie Mae Hale, and Inez Hart. Twelve grandchildren, Daniel Keebler, Emmanuel Keebler, Zayden Keebler, Jalen Corley, Carler Thedford, Torrey Smith, Jasmine Whetstone, Brayden Milam, and Lilyonna McCary; two special God-daughters, Jaleesa Threatt and Elaine Whetstone; and a host of other relatives and friends.